“We messed up. As technologists, tasked with delivering content and services to users, we lost track of the user experience…. The IAB goes on to introduce new advertising principles called L.E.A.N. (Light, Encrypted, Ad choice supported, Non-invasive ads) as a start. 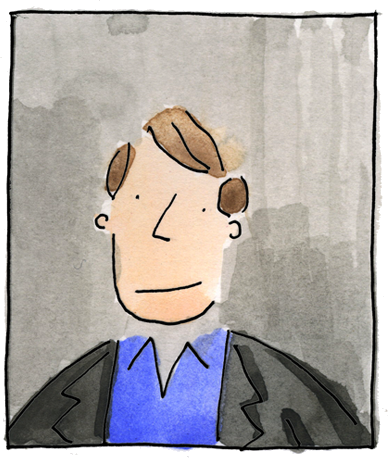 This is a fundamental shift in vantage point for the Ad Tech world. 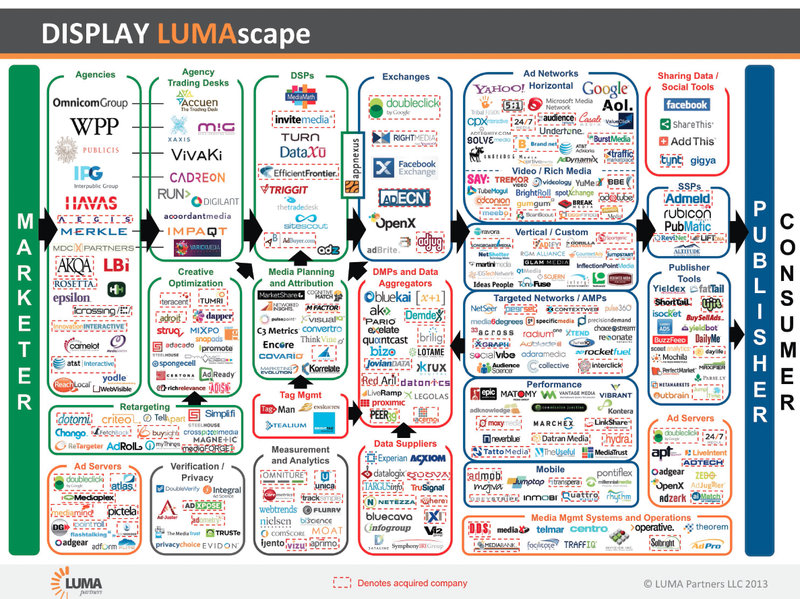 In 2013, LUMApartners famously created its first LUMAscape capturing all of the fragmented, disparate Ad Tech players involved in the processing of serving up an ad to a consumer. 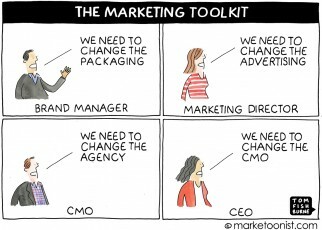 It’s an industry organized around itself, not around the needs of the consumer. Thus we see retargeting ads for sweaters we’ve already bought, video ads that auto-play with sound, and pop-ups that take over your screen. 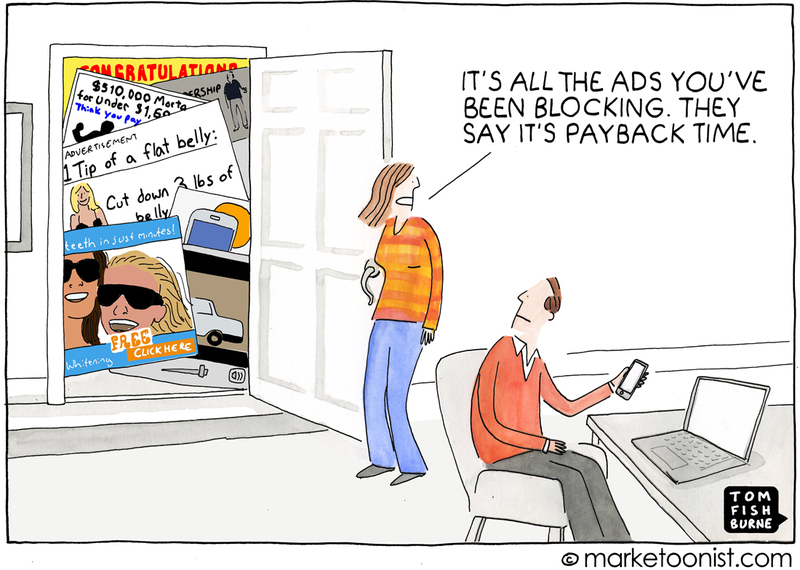 The rise of ad blockers represents a significant identity threat for advertisers and publishers. 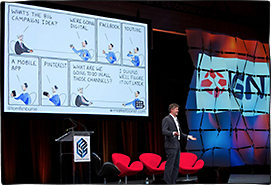 But it also highlights a truism of modern marketing – there is no such thing as a captive audience. All media is earned media. 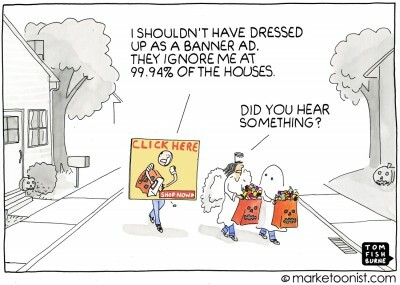 Even when marketers pay for media, we have to earn people’s attention. I’d love to hear your thoughts on the implications for ad blockers for marketers. I searched for more info on the iab L.E.A.N. principle and was greeted by a pop-up ad on the article page…oh the irony. What’s somewhat ironic is that marketers seem to assume that “in the old days” of print, TV and radio that the audience was captive, and “had to view their advertisements”, and that the web should be the same. But the audience really wasn’t captive. People “ad blocked” all the time, in that they didn’t look at the ads in print, left the room during TV commercial breaks or just tuned out listening to the radio during a commercial. That was even before we skipped TV commercials with the VCR, then PVR. A lot of drinks were poured and snacks prepared during TV commercials. Plenty of printed ads were just a blur of page flips to find the real content. To build on GK’s comment, look at what happens even today with flyers and inserts. In the building where I live there’s a big recycling box that sits in the mail room, because many people immediately discard these things. Some of them are beautiful too: Slick, glossy postercards of someone’s new service or location… gone in a flash. Talk about ad blocking! Can we ask bloggers and news media to stop asking us to subscribe to their emails within .005 seconds of visiting a site? It’s the worst kind of advertising – I haven’t even got to know you and you’re asking me to jump into a relationship with you. I wouldn’t do that to someone I’m dating, much less a business/consumer relationship? But – to add a constructive comment to this conversation – I am an avid user of Ad Blocker, because it has cut down on the number of viruses that I’ve gotten on my computer. When I visit the Guardian newspaper, it has a really nice little ad on the bottom of the screen that says “We notice you’re using an ad blocker. Would you like to support the Guardian in a different way?” and if you click it, it gives you options to support or subscribe to their newspaper. I *really* like that because it gives me the choice of how to support the content I like – either by viewing the ads, supporting it when I can, and leaving it unobtrusively on the bottom of the screen to remind me when I cannot to revisit support in the future. Choice is king and safety is paramount. If ad networks can filter out the malicious, virus serving ads and give the consumer choice of what to see (or not see) then advertising will pick back up in popularity. Until then, I foresee continued use of these blockers to keep our computers safe and our eyes and ears unhijacked. Here I thought all the blocked ads just went to ad hell! 1. 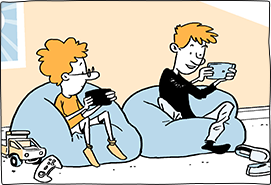 Many of us still live in Outback, Nowhere, with crummy internet connections. I get less than 2 meg download, less than a meg upload speeds. Often times, I go to a page, and try to download several k of data. I’m reading a news story, the entire story amounts to a couple hundred kilobyte. The page should load almost instantaneously, shouldn’t it? Alas, it takes as much as three minutes for the browser to load what I consider to be trash. The advertising industry owes me for lost bandwidth and wasted time. That’s right, if you’re going to squander my limited resources, you should be PAYING ME for them. 2. Advertising is ineffective here at any rate. I have my interests, and I generally know if/when I need something. I can identify my own needs. One day, I decide that I need a widget that does this or that, or something else. My first stop is Google. I do my research, and discover that fifteen manufacturers make widgets that claim to do what I want done. I don’t go to the manufacturer’s page, or his advertisements. Instead, I Google some more. I look at specs, I look at reviews, I try hard to get a sense of quality of the product, as well as performance. Then, I consider price. Out of the fifteen competitors, two get really poor reviews, three get excellent reviews, the rest scattered up and down the scale. Perhaps this widget is rather pricey, and I really can’t afford the best, so I decide on the fourth or fifth best quality. So, finally, I search for retailers selling that specific widget, and start comparing those retailer’s level of support, or lack thereof. No advertising has figured into my purchase. Or, more accurately, if any form of advertising figures in, it is the modern version of word of mouth, in that I rely on reviews. Yes, I block advertising. Those few advertisements that I do see are so far off target as to be funny. Amazon has demonstrated that my ad blocking is less than 100% effective, but I see precious little of their advertising anyway. So, I just laugh when Amazon actually makes a pitch for something I’ve already researched. 3. Cross site scripting. Stop it. I won’t allow my computers to connect to unknown sites with cryptic names. I don’t even permit them to download web fonts, why would I connect to potential hijacking sites, and potential malware servers? I have gone to popular sites, such as CNN. Both NoScript and RequestPolicy list as many as fifty other sites that the browser wants to connect to. I block them all. When there are that many sites to choose from, I just don’t load the page. If another site lists 3 to 10 sites that need to be loaded, I might try to pick and choose among them. Or, I might not. I simply don’t need to communicate with a long list of servers to read the news.